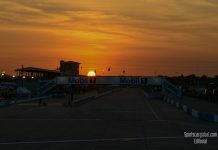 Nathanaël Berthon will start a new adventure at the 1000 Miles of Sebring next March with Team REBELLION Racing. 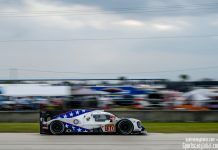 He will participate in the last three rounds of the FIA ​​WEC Super Season 2018-2019 but also in the entire Super Season 2019-2020. Nathanaël Berthon has evolved into single-seater racing competition and eventually entered the GP2 category. He has since completed tests in Formula 1 and has raced three times in Formula E. Since 2014, Nathanaël Berthon has also been evolving in endurance: with Lotus in LMP1 and in international teams such as Panis Barthez Competition in LMP2 category. He did the best chrono of the LMP2 category in free practice and the best lap race of the category at the 24 Hours of Le Mans 2018 with Team Dragonspeed. After spending 2018 mainly focused on WTCR, he returns in 2019 to endurance prototypes by joining Team REBELLION Racing. At this moment it’s not exactly clear how the addition of Berthon will change the crew of the #3 Rebellion R13. Calim Bouhadra, vice-president of REBELLION said of the appointment: “We are delighted to welcome Nathanaël Berthon to the REBELLION Racing family. I would like to thank Olivier Panis who allowed us to be in touch with Nathanaël and to obtain his services. “I am very happy that REBELLION’s LMP1 team trusts me.” said Berthon. “The idea of participating in the World Endurance Championship and the 24 Hours of Le Mans twice, in 2019 and in 2020, with a team and a car playing to win, is a great source of motivation for me! 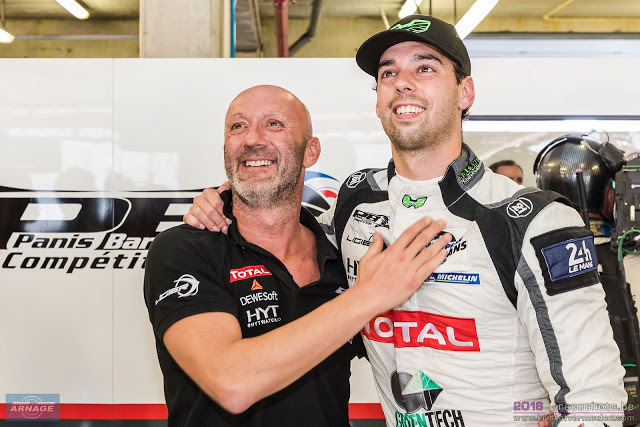 “I have excellent relations with the REBELLION Racing team and I’m aware of the talent of Nathanaël, I thought it would be interesting for the two parties to work together.” added Olivier Panis, Berthon’s Manager. Next articleELMS: Algarve Pro Racing signs Pizzitola, Patterson & Falb in LMP2.